We’re excited to announce that the dev team at IPVanish released version 3 of the IPVanish app today! Before you go any further, we have a 60% off IPVanish coupon that brings it down to about $4/mo (USD) – so don’t miss out! What is the IPVanish app? 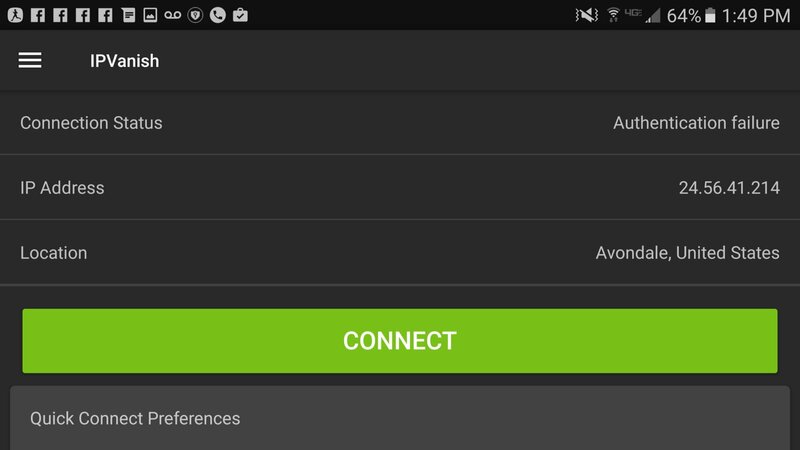 The IPVanish app is the easiest way to unblock streams & TV Addons. 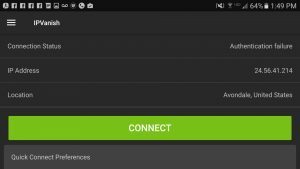 The previous version of the IPVanish app was solid, but they managed to improve upon the user interface, as well as to add several new features. 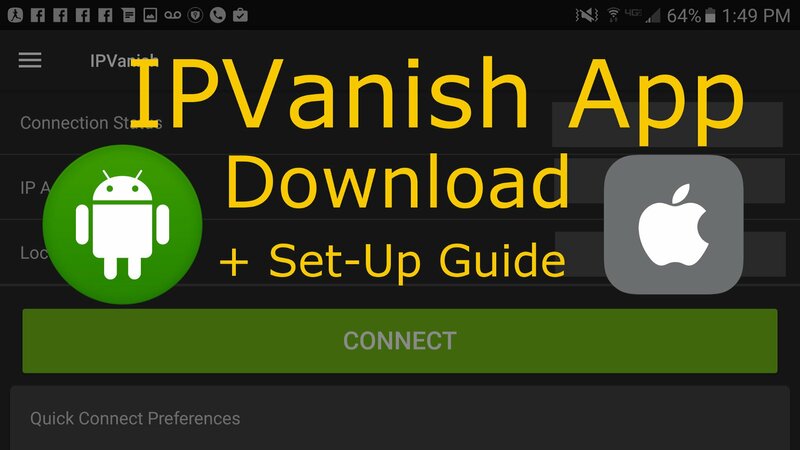 In this article we’ll show you where to download the IPVanish app, as well as how to set it up and use it to unblock US TV, secure your connection, or one of several benefits that come with using a secure no-logging VPN such as IPVanish. Keep in mind that you’ll need a subscription to use these apps, so be sure to get a discounted subscription here. 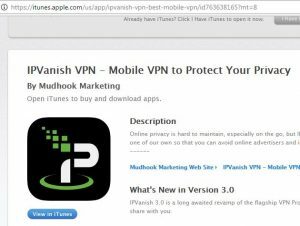 Go directly to IPVanish in Google Play for Android devices, or go directly to IPVanish in iTunes app store for iOS devices, or..
After the app downloads and installs, click OPEN to launch IPVanish. After you install the IPVanish app, launch the app by finding it in your phone’s APPS menu and pressing the yellow IPVanish icon. 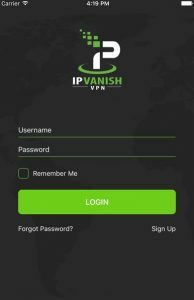 Once you’ve launched the IPVanish app, the IPVanish app will ask for your username and password before allowing you to connect to one of their secure VPN servers. Get a username from IPVanish by using this exclusive 60% off IPVanish coupon (comes out to around $4/mo). Select a server from the server list to connect to it! That’s all. 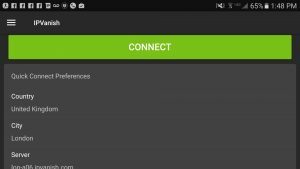 Unblock movies & TV addons for Kodi / XBMC: Several Kodi addons are blocked by geolocation, so get around it completely by using IPVanish! Prevent bandwidth throttling: Your Internet Service Provider is likely to throttle your Internet bandwidth speeds due to the types of content you download and stream. Get around this by HIDING the types of content you stream with the natural anonymity achieved by using a secure no-logging VPN like IPVanish. Once you sign up for IPVanish, you’ll receive top-notch support. Check out their support page for more info. • New Server List – The ping time and load time are both clearly visible now in the expanded server list view. • Widget – IPVanish V3 now has a Widget you can add to your Android’s home screen! 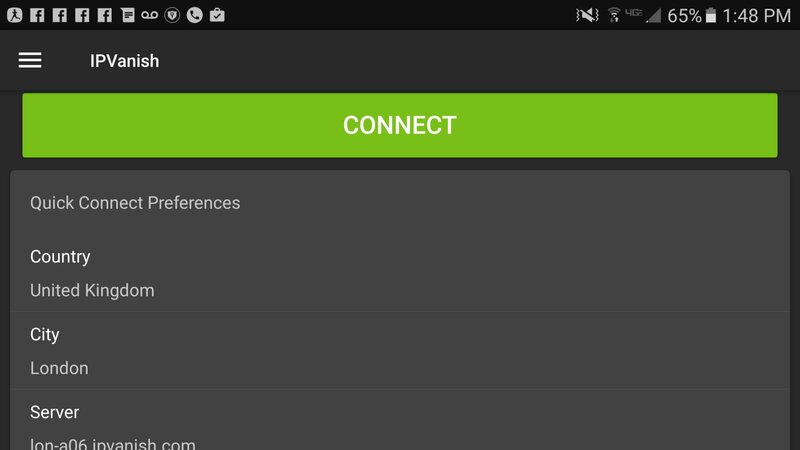 • Auto-Reconnect – This was a highly requested feature, where the app will automatically reconnect if it happens to become disconnected, so you can stream without interruption. 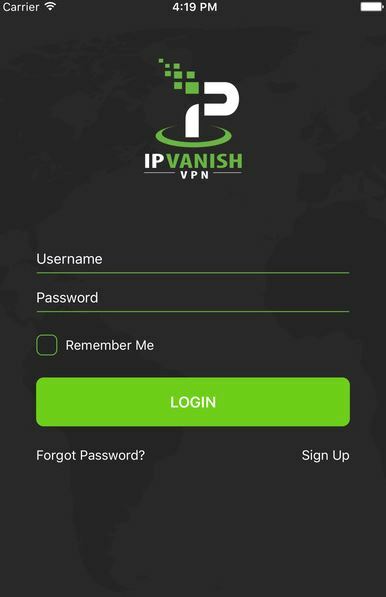 Setting up IPVanish on your router is probably the best way to go, since it’ll secure all of your Internet traffic, instead of just installing the IPVanish app on your individual devices (though we recommend both, so your phone is secure while you’re out of the house! ).